So, as a new parent I can only really have one or two drinks in the evening. Cocktails make it easier to ration alcohol, and I like gin. This is a really nice G&T. The G&T was a way to make tonic water palatable by adding gin in the early 19th century (if you believe Wikipedia). The question is, were the colonial British consuming a London Dry gin which would have emerged in the later 19th century, or something else like genever, juniper spirit or Old Tom gin? 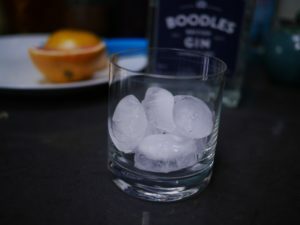 Wikipedia reckons the gin to tonic ratio can be as low as 1:1, which may have been a reasonable ratio with much more bitter tonic and sweeter Old Tom and a lower alcohol content in the gin. But for a modern G&T and a London Dry gin a 1:1 mix is too much. This isn’t a spirit with a dash of soda — a G&T should be aromatic and refreshing and cold. The only reason to use a ratio stronger than 1:3 is if you’ve got crap tonic and/or watery gin and just want to taste alcohol. Avoid these both. These three are around £14-16. If you want to spend more money (£25+) there’s Sipsmith or Chase Distillery’s Extra Dry gin. Boodles is right in the middle at £20. Avoid anything really expensive like Botanist, you won’t get the benefit (sip that one neat). Also anything too floral like Bloom will be wasted because the other scents will overwhelm the gin. 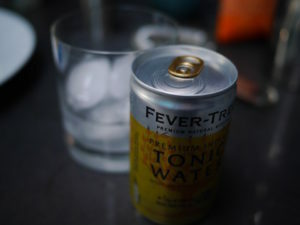 Tesco does a “Finest” tonic water that doesn’t have artificial sweeteners. It’s nice but I always found it was a bit flat out of the can. These days people seem to be recommending balloon glasses rather than highballs, but I tend not to use our stemware much because it doesn’t fit easily in the dishwasher and I’m lazy. 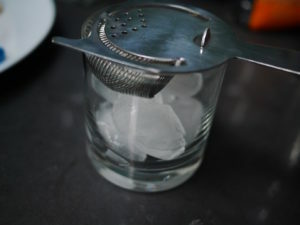 I’ve used an Old Fashioned glass because I like the way it feels in the hand and you still get a lot of surface area to enjoy the aromas. Lime or lemon is classic, and Mango and black pepper is scientifically proven to be the best. I like a big slice of pink grapefruit and I’m also adding black pepper. 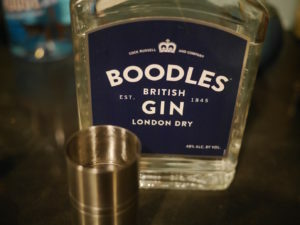 Then add the gin… a 30ml measure will give you a 1:5 ratio with the can of tonic, and still be a fine drink with around 6.5% alcohol and plenty of character if the gin is decent. 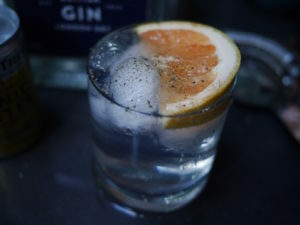 If you want to be pretentious you can pour the tonic using a bar spoon as in this video from Bombay Sapphire and this post to minimise loss of bubbles. 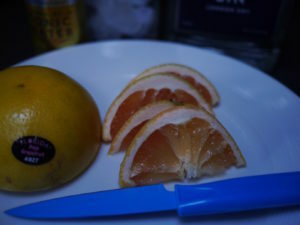 Cut a wedge of citrus, run the fruit around the edge of the glass then drop it in the drink. Add pepper over the top. Chin chin!